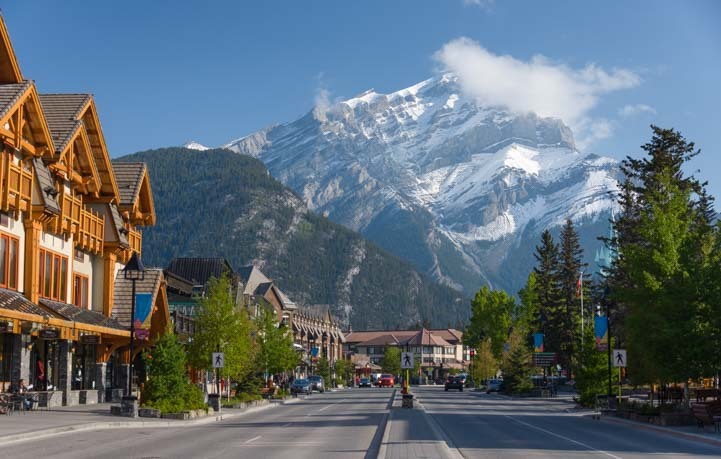 Banff has the historical charm of a small mountain town, with all the amenities you need to have a fun, lively stay. Authentic saloons with mechanical bull riding are a plus for visitors looking for a taste of the local culture, as are the many farm-fresh restaurants and cool shops downtown. While in town, make sure to get outside. Take the gondola for stunning views of the city, or ice skate at Banff Community High School rink downtown. Banff is also known for their awesome Upper Hot Springs and National Park’s Cave and Basin, so be sure to check them out.